Ultrasound imaging has become imperative in neonatal & pediatric intensive care unit (NICU& PICU) for the evaluation and delivery of care. 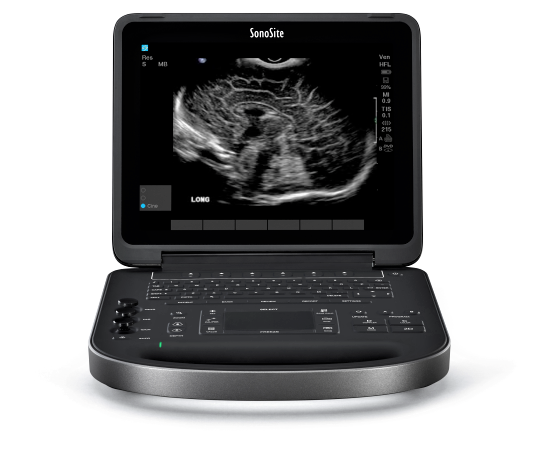 The introduction of a high-quality, reasonably priced, portable ultrasound unit has now made it possible for neonatologists & pediatricians to rapidly obtain diagnostic information that can be extremely helpful in the evaluation of a critically ill neonate or child. Because of the delicacy of new-born infants (particularly critically ill or premature babies), transport to other areas of the hospital for USG, CT, or MR imaging is often difficult; especially for infants who require mechanical ventilation, warming and other specialized neonatal intensive care support. Since portable ultrasound equipment can be brought to the bedside and does not expose babies to additional radiation, it is the preferred initial study for imaging in neonates. Until recently, ultrasound units were large, complicated, expensive, and required extensive expertise in the acquisition of images. As a result, ultrasound units were maintained in the radiology department, and were a limited resource shared among many hospital departments with differing needs. In many instances (particularly at night and on weekends when staffing is limited), ultrasound imaging has not always been available in neonatal intensive care. Common neonatal management decisions that might benefit from immediate ultrasound evaluations have often been deferred, contributing to physician frustration, parental anxiety, and hospital cost. Most importantly, the care of the infant may be adversely affected. Today portable ultrasound machines have become an invaluable tool in fast-paced settings where mere seconds can be the difference between good and bad patient outcomes. While it has improved patient safety and outcomes in adult critical care, the ultrasound is gaining greater acceptance as the imaging modality of choice in the paediatric emergency setting as well.